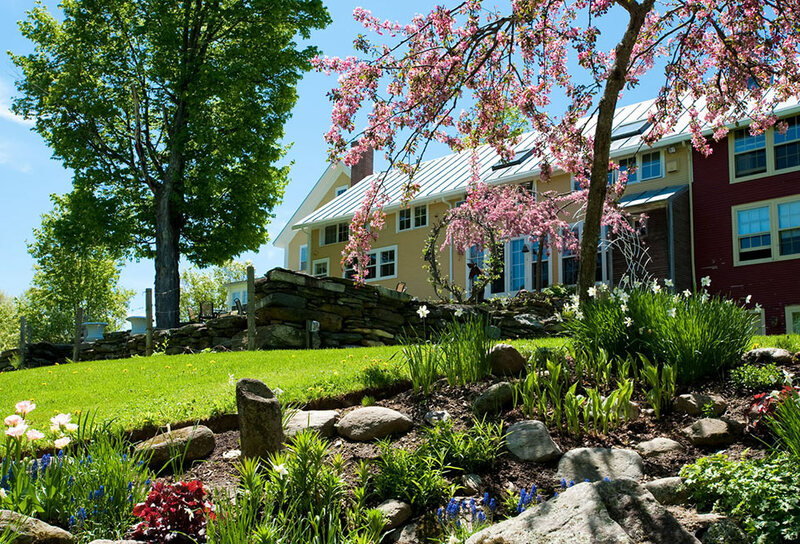 Enter the Vermont Inn near Sugarbush and be greeted by warm smiles, the smell of freshly baked treats, and the soothing sounds of nature in our gardens. 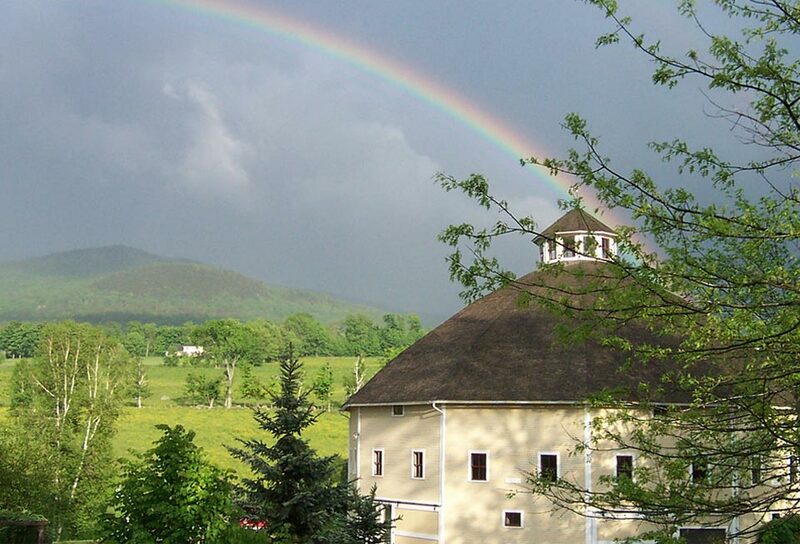 Gather to share stories while enjoying canapes, sweets, and a beverage including local beer, wine, or spirit in front of a glowing fire surrounded by books about Vermont and New England. Enjoy our organic gardens and game room. 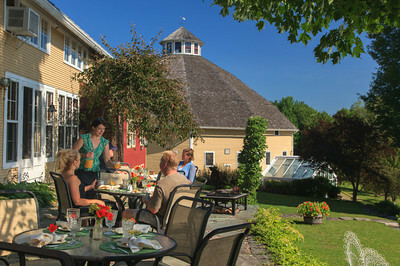 In warmer weather, have afternoon tea on our terrace. Relax with new or old friends for an opportunity to share the adventures of your day in the Mad River Valley! Stay in a different Vermont guestroom each time you visit our Waitsfield, Vermont Inn until you find a personal favorite. Each room is distinct. All offer unique architecture and decor, private baths and careful attention to detail and comfort. 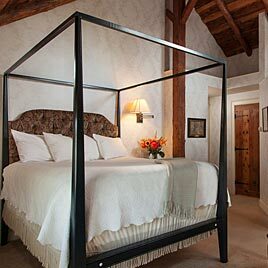 Some rooms also offer whirlpool tubs, gas fireplaces, or canopied beds. 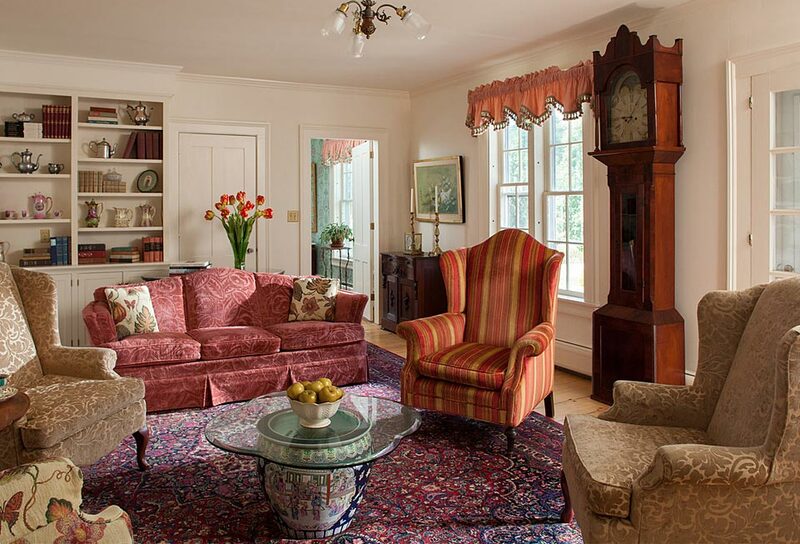 Rich wallpapers, original pine floors, and historic details make this Inn a special place. 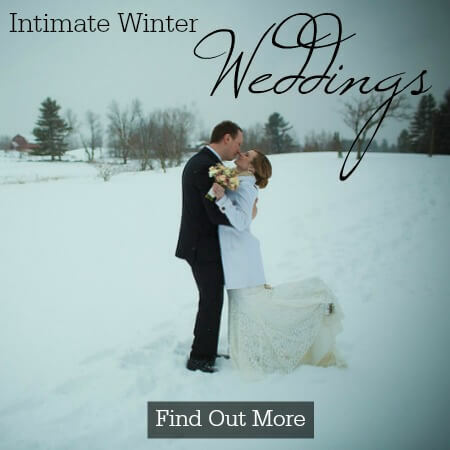 Join us in our Vermont bed and breakfast for the getaway of a lifetime.